First Diesel decided to go the non-traditional route of casting a series of bloggers for their Reboot Campaign earlier this year (thanks to the mastermind of Lady Gaga’s former stylist Nicola Formichetti) and now it seems this is a trend we might see more of, as another label has decided to do something different also. 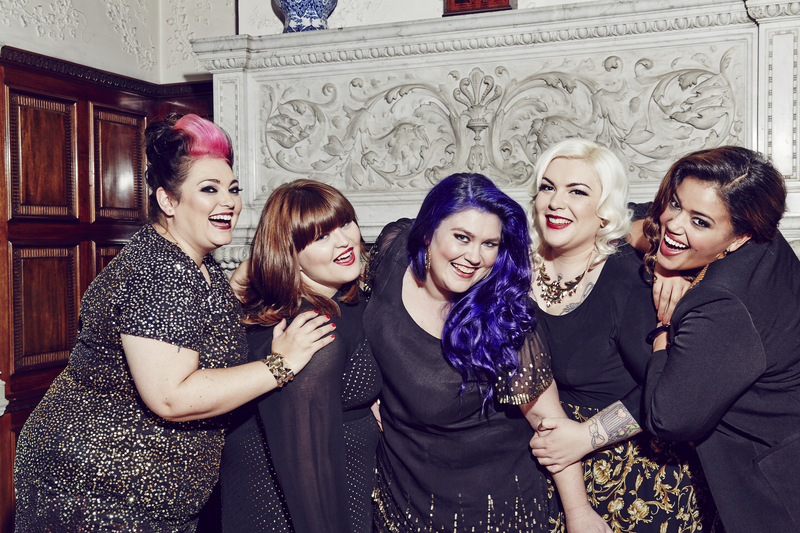 UK Plus size label Simply Be have done two super cool things in their new holiday campaign. 1. Instead of models, they featured plus size bloggers, and 2. they decided against any photoshop in the campaign, which is something that has been a pretty intense debate in the fashion and beauty world for a while now. The five bloggers featured in the Golden Renaissance Christmas collection are Rose from A Rose Like This, Rachel from A Dress Is For Life, Allie from Inside Allie’s World, Nancy from Sugar, Darling? and Betty from Pamper and Curves. The range includes sizes 14 up to 32, and includes apparel as well as accessories. The decision to not use photoshop is bold and will set a good example. Consumers are wising up to the trickery and false portrayal of photoshop, and we are now demanding more realistic versions of ourselves reflected on the runways and pages of magazines. Even Lady Gaga has spoken against the use of this technique. At the recent Glamour Magazine’s ‘Woman of the Year’ awards on Monday, November 11 2013, she spoke out about her latest cover for the glossy mag, where she was crowned Woman of the Year. That’s a pretty bold statement speaking to the very magazine that just featured her on its cover and honored her with the award. But it’s also important that she takes advantage of her platform and speak up about an issue she knows affects young girls’ self esteem and body image. They are an influential magazine and should be challenged to offer something better and more inspirational for their readers. For the Simple Be campaign, they clearly want to market a specific message of confidence and diversity to their faithful consumers. And perhaps even gain a whole new generation of loyal fans who believe in the messages they are spreading through powerful images like these. With statements plastered all over the website such as “be unique” and “be proud of the woman you are” we really love that this brand genuinely care just as much about the self esteem of the women who wear their clothes, as they do making a profit. We all understand they are a business and have to make money to survive. But why shouldn’t strong values and empowering messages coincide along with a great business model? This isn’t the first time Simply Be have enlisted the help of bloggers. Back in June 2013 they created a mini collection and enlisted the help of 3 London-based plus size fashion bloggers to create the custom-made designs. They wanted to offer clothes that real women would wear so it makes perfect sense they would ask real women to give their input into what they want to see. What do you think about the great photoshop debate, is it something that needs to be banned altogether, or is it a key tool in creating aspirational images for consumers? We think anything aspirational should come from a place of authenticity and play to your strengths, not your potential once you change yourself.